This petition has been created by brad s. and may not represent the views of the Avaaz community. BC’s political parties are raking in the cash, but at what price? Sadly,he’s not the only one who believes the same thing in BC. In a democracy, elections are meant to enable all individuals to voice their concerns and elect MLAs who will listen and do the right thing.But in BC elections, it seems like money talks and that the only ones being heard are those with the most cash. 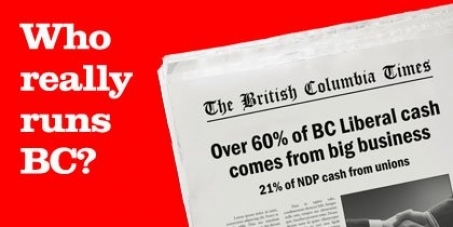 This is not how BC's democracy is supposed to work and it has to stop. The bottom line: If you can't vote in a BC election, you have no business donating.And if you can vote the size of your donation shouldn’t make your voice louder than everyone else’s. The only strings attached to donations ought to be to BC voters, not BC boardrooms. Let’s address BC’s democratic deficit now.Please sign this petition and share it with everyone you know! Please sign this petition only if you live in British Columbia.